an application with valid id for video calling e,g skype, gtalk etc. same has to be with other side whom u calling. and most important thing is that both party should have a 3g internet cnnection(smtime skype can be used on 2g netwrk for video calling on 3g network. 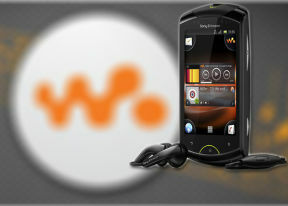 xperia solar should be a good alternative to live walkman! Better screen and FINALLY we get sense me, customizable graphic eq and clear bass back - just like the walkmans of old! Will have to wait for ics a little longer though. Its also dual core. Does SDHC class-6 memory card work with on this mobile? we can use this ph internet call (Saudi net, Jumblo like tht)????? why you say like that..?..i think xperia mini more features..
hey, is the upgrade to android 4.0 availble in india? and what to do about the battery? barely 7 hours! Anonymous, 25 May 2012gud phone .but no battery backupbattery how many days standing? Breeze, 28 May 2012While i was goin thru all dese comments, i found dat RAM is actually not 512 mb, it'll be a gr... moreThe xperia live with walkman is unbelievably awesome, best handset I've ever had by a mile no doubt about it, absolutely stunning graphics n music is even better, even tho the camera is only 5mp pictures n videos are as sharp as any other if not more n it's gonna be even better wen I get the ics update, I would definitely recommend this phone to anyone that likes the xperia range, without a doubt!! Hope this helps!! Murtaza, 27 May 2012I want to buy a new cell phone but i am stuck whether i can buy HTC CHACHA or live with Walkma... moreXperia live with walkman definitely, unbelievably awesom phone, best handset I've ever had plus the ics upgrade is due within a wk, I luv everything about this phone, big up Sony Ericsson, job well done!! I have gone through all the posts, but I still can not make out, how to make video calls. Please let me know if some one have been successful in making a video call. I have tried video call throuh skyp but failed. AnonD-52829, 29 May 2012The indicator wasn't updated because the process which is responsible for this task was killed... morethnx buddy...i got that. - Widgets. Status Switch and other widgets that show battery indicator are highly affected. Even clock widget (analog or digital) can become "late", showing wrong time. - 3rd party apps like Go Power Master show battery indicator on status bar. They're affected as well. - Default battery indicator. It's difficult because it doesn't show exact percentage. It's affected sometimes but quickly recovered. - Phone status: Settings - About phone - Status - Battery level. You can trust this but do double check to make sure. anyone can tell me if they update lww phone to android 2.3 to android 4.0 in INDIA..
and wht is on the go support, hw does it work?? ?